The otherness of nature, the gap that separates its permanence from our finite experience, is as much a part of its constructed character as its scenic wonder. 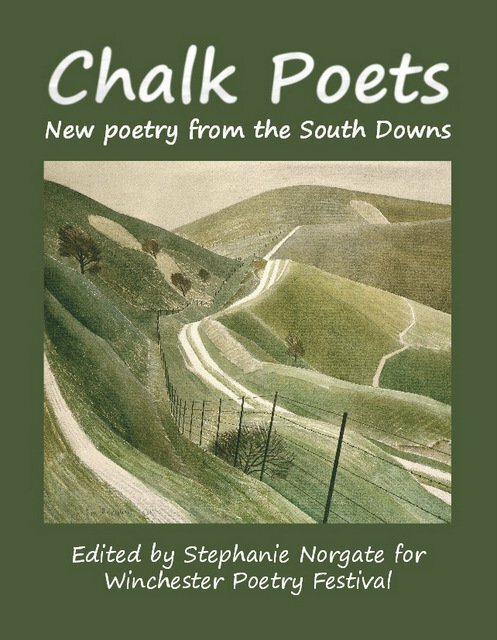 This contrast forms the fulcrum of the Chalk Poets collection, twenty-one poems from seven poets that attempt to capture the sublime environment of the South Downs. First evoked by the title, Ice by Hannah Brockbank begins the theme of transience that muddles this permanent/impermanent dichotomy like chalk in water. By personifying nature, questioning it with a recurrent “who?”, and accusing it of violent actions (“upturned, smashed, snapped, drained, hurled, strangled” – describing the long-term “ravages” of time), Brockbank’s poems mingle our temporal experiences with nature’s atemporality. 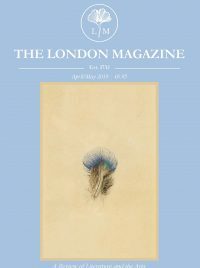 Similarly, the following poems by Lydia Fulleylove and Kate Miller again cross the gulf between our world and our experience by bringing the former’s eternity into the realm of the ephemeral. Seasons, weathers, and years merely “shuffle” by; the rocky ground being only a chalk-brittle, “thin lid of brown earth”. All this serves to bring an immediacy to the poets’ words and the surroundings they depict. Instead of a vast landscape that defeats words, the poets make the land intimate and human, a comforting presence in the midst of constant change laid out by time, like the child of Another Almanac who shelters in the “quiet lichened library […] to chart the slower year of growth”. Zoe Mitchell and Stephanie Norgate pick up this theme of the comfort and familiarity of nature, yet unlike the preceding poets this is not due to an effort to humanise nature, but precisely because nature is not human. People are seen as a negative force, as in Mitchell’s As I Like It, where the Downs provides a refuge “from jealous city windows”. Norgate goes further by illustrating humanity’s damaging attempts to limit and delineate nature: “unnecessary gate”, “restricted bridleways, permitted footpaths”. Steven O’Brien’s Highdown is perhaps the most ominous poem of the book, and it continues the menacing presence of humanity with the “bones of surly men” who “lie there still / Unexhumed, Hunched among the flints, / And all through the darkness / They were watching me”. It is a threatening atmosphere that the narrator would not visit “At night, / Alone” – this intriguing line break questions what company actually lies in nature which simultaneously seems so familiar and alien. Coming to the close of the collection, it becomes evident, as Norgate eloquently states in the introduction, that “Even the most magical landscape can never be escapist, but is marked by the losses of history and by human activity.” To walk the Downs is to walk the past, and those who have toured it will know this from the memorial stones of German WWII pilots that dot the landscape. The poets likewise recall their antecedents in G K Chesterton, Edward Thomas, and Rudyard Kipling, who have all walked and wrote the Downs. Ultimately, this mixture of past and present, land and human, exemplifies our uncertain position amid our environment. In one of the final poems of the collection, Colette Sensier’s Get Thee Glass Eyes, a “chalk man” is being “scratched out of the hills”. It is left uncertain as to whether “scratched out” means the man is being formed or destroyed, whether his chalk body is unearthed or wiped off, leaving only a swathe of cloudy white as a sign of a brief stay.